​ for your medical condition. Some of acupuncture Insurance we accept in our NYC clinic. ​﻿Flexible Spending Accounts (FSA) and Health Savings Accounts (HSA). Our acupuncture office will verify your medical benefits and inform you about your co-pays and deductibles, if you have any. We will also take care of paperwork and submit all claims. We will need to verify your medical benefits and approval number and the agent's name. Your Phone to call you back and the phone for your Insurance (for providers to call). Please email us all the info with the subject line "Acupuncture Insurance" so we do not miss you email. Medical benefits can be confusing and we will help you with that. Some plans carry a deductible, it is the amount of money you either need to pay or use before coming to an acupuncture specialist. If you have a large deductible our clinic can break it down into small installment payments for you. There is often a copay or co insurance after you meet your deductible, that you pay every visit usually form 0 to $30 per visit. There are a lot of other little industry terms and jargon, but we will take care of them for you, so you just enjoy your acupuncture treatments and improve your health. medical coverage can be a blessing for people on a limited budget who need a number of visits to reach their health goals. We are here to help and support you with treatments and other services and paperwork as well. Most medical benefits cover acupuncture for PAIN only, (Nausea some times) as a primary complaint ! ​Some plans especially Blue Cross may allow non-restricted coverage (varies with the plan). 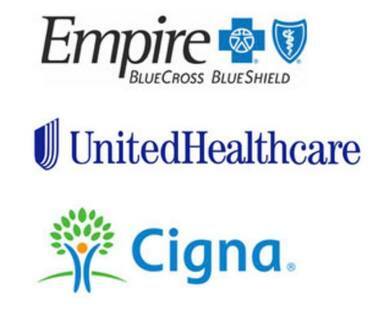 for you to get reimbursed directly from your insurance carrier. Acupuncture can treat many conditions. We can treat your condition, however will take your insurance if one or more of your PRIMARY SYMPTOMS are pain or pain related. Several conditions can be addressed in a single treatment session. Below are some of the examples of Painful symptoms covered by Acupuncture Insurance. (Coverage may vary depending on the plan). Physical Pain: Migraine, Foot Pain, Nausea, Breech Baby, Headaches, Shoulder, Back, Neck Pain, Sciatica, Knee Pain etc. Low Back Pain, Coccyx Pain, Ovarian Pain, Abdominal Pain.